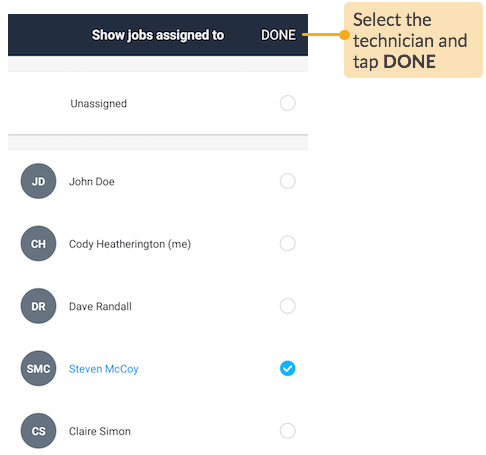 Viewing all your jobs is useful when you want to quickly browse through jobs that are scheduled or unscheduled, and browse jobs by another technician name if you are managing a team of technicians. 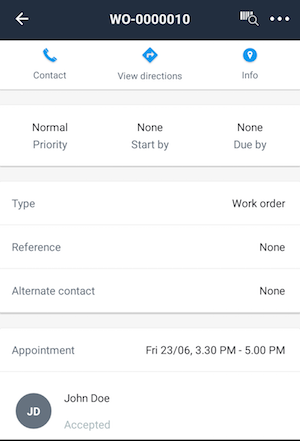 When you have large number of jobs to browse through, your view can be easily arranged to display jobs by one of the criteria-- by customers, appointment date, priority, sites and other such job parameters. 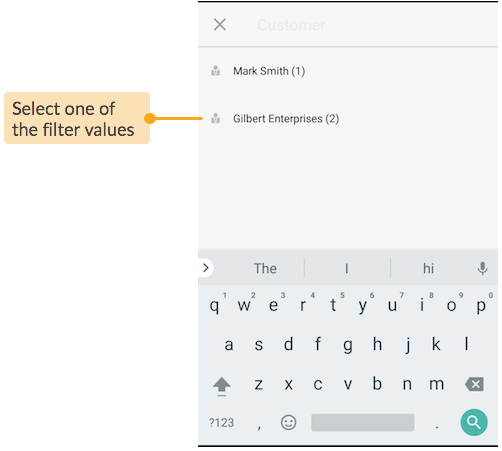 You can further narrow down the arranged jobs using filters. 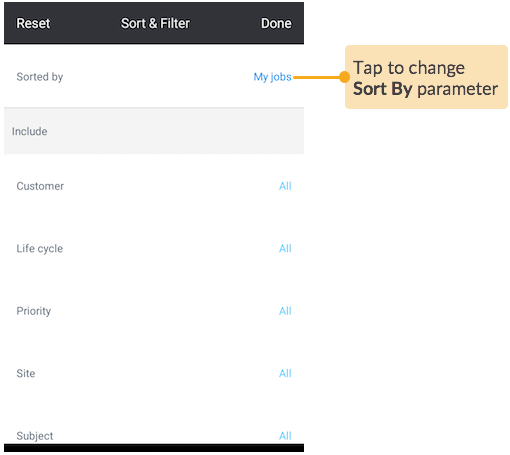 The jobs will be displayed according to the sorting criteria and filter options set in the Sort & Filter area. 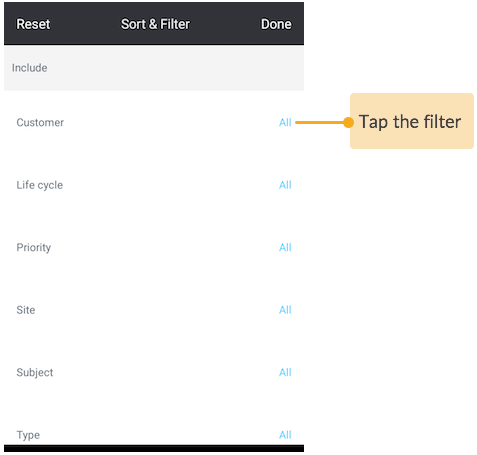 You can access the Sort & Filter option as discussed further on in this article. NOTE: Viewing jobs of other technicians requires you to be online. Ensure that your mobile device is connected to cellular network. When you go back to All Jobs, you would now see jobs that are assigned to that selected technician. 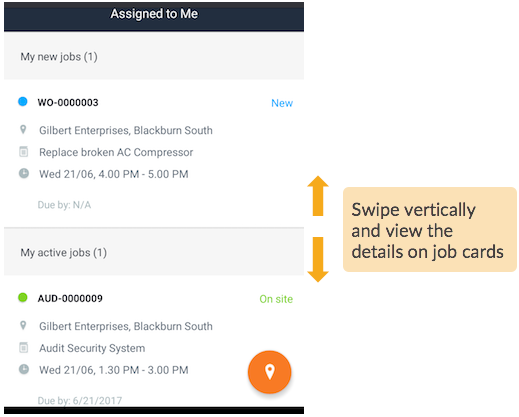 For the jobs that are assigned to you and the selected technician, you will have complete control on the job workflow as you would have for your own jobs. 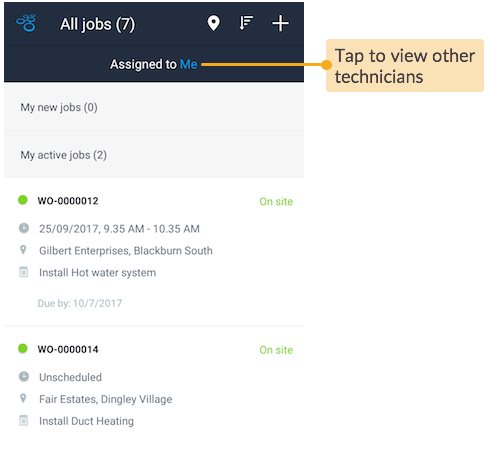 However, if the job is particularly assigned to only that technician, you can edit, assign and schedule that job, but you will not be allowed to change the technician's field status or log the field data on their behalf. Tailor your view by narrowing down and arranging jobs to best suit your day-to-day requirements. 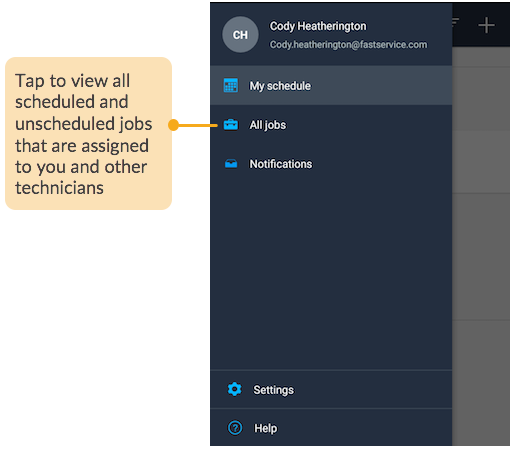 By default, Loc8 sorts your jobs by My Jobs, displaying all your jobs by their latest stage such as new jobs, accepted jobs, active jobs and finished jobs. 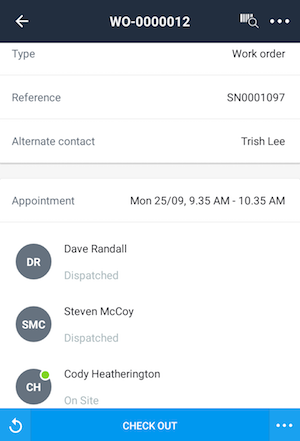 You can sort the jobs by selecting one of the job parameters such as My jobs, Appointment date, Start by date and so on. For example, sorting jobs by their Due By date will help you to follow up with jobs nearing their deadline. 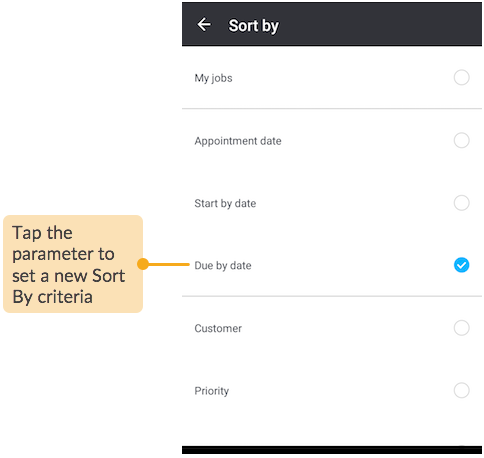 Once you have set the sorting criteria, go back to the Sort & Filter screen. 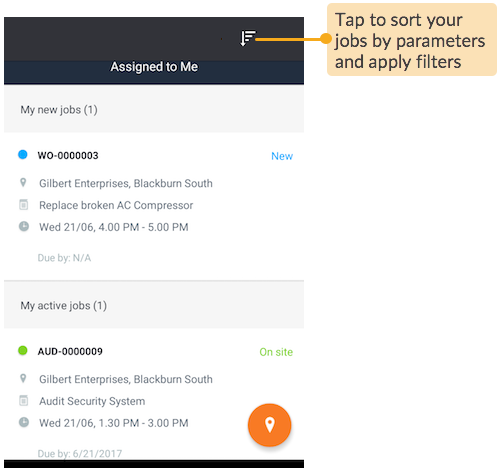 In the Sort & Filter screen, you can apply one or more filters to view jobs with only those selected filter values. 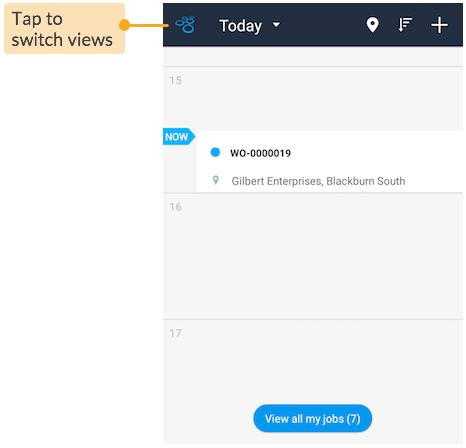 Apart from the Include filters discussed above, the preferences on the Exclude filters, which could have been set while filtering My Schedule view, will also apply on All Jobs views.